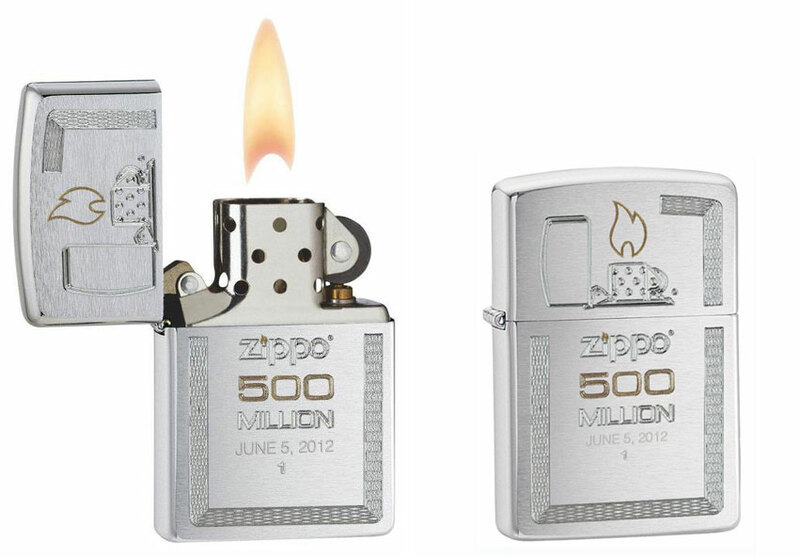 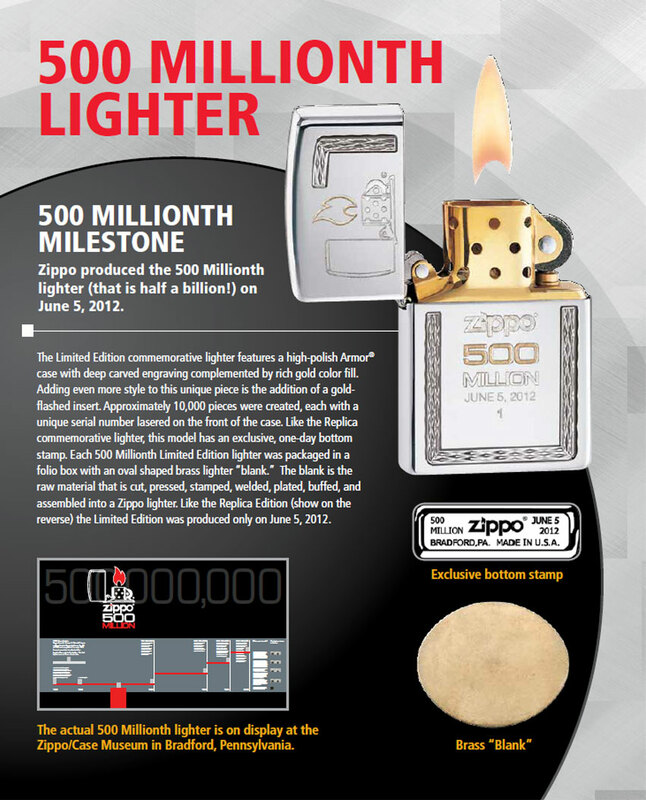 Like the actual 500 Millionth lighter, the 500 Millionth Replica Edition will feature a classic brushed chrome finish with two-tone engraving. 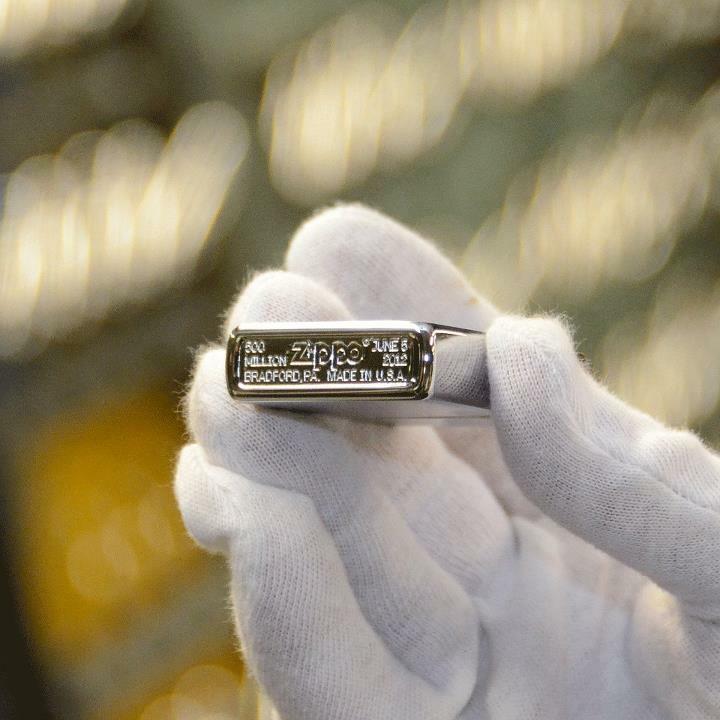 Approximately 50,000 pieces will be created, each engraved with an individual serial number on the front of the case. 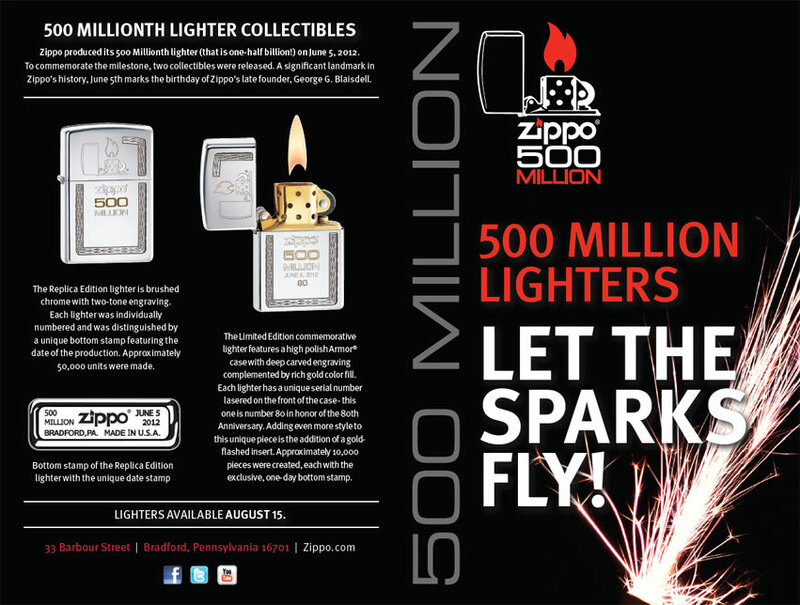 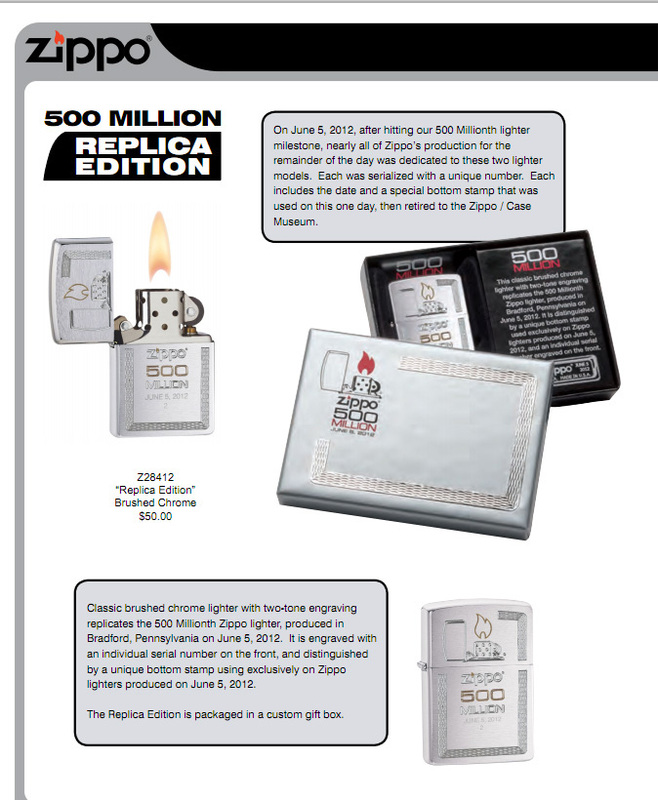 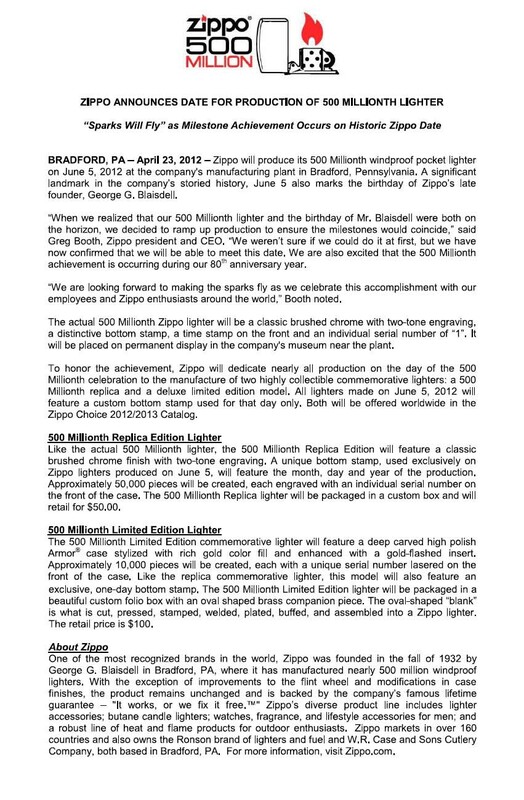 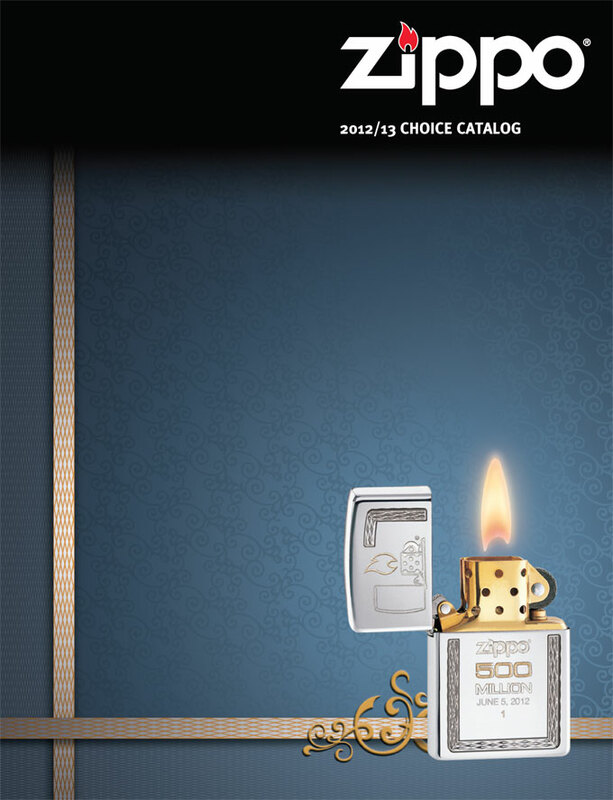 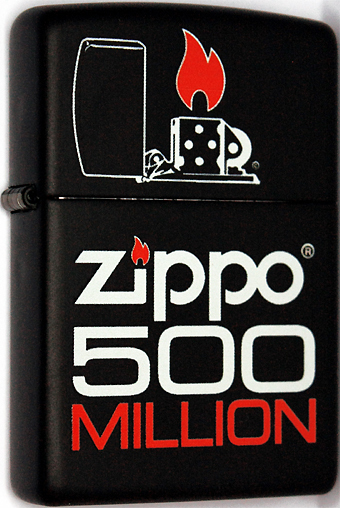 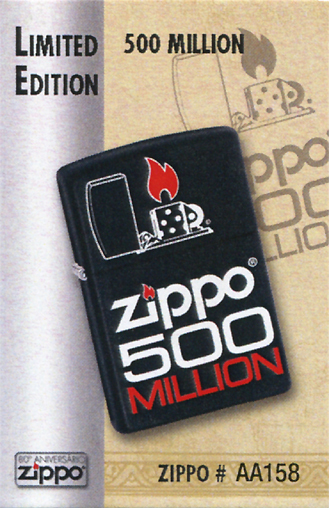 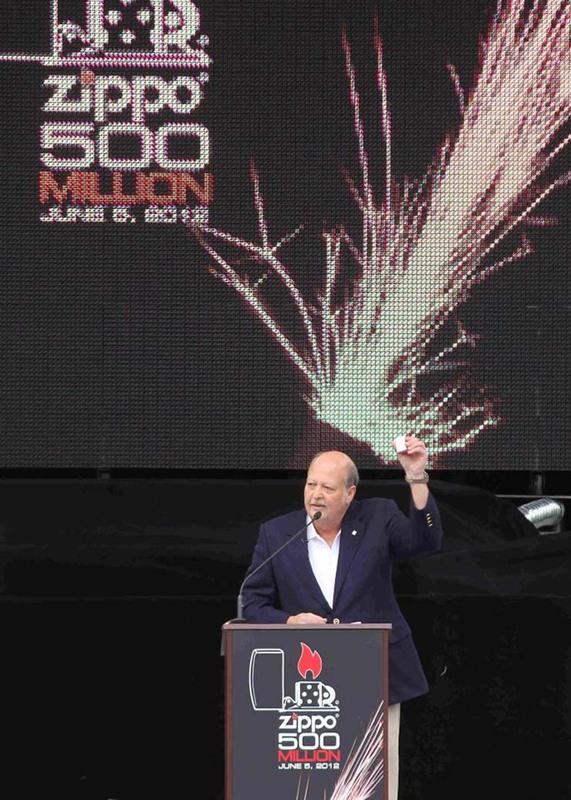 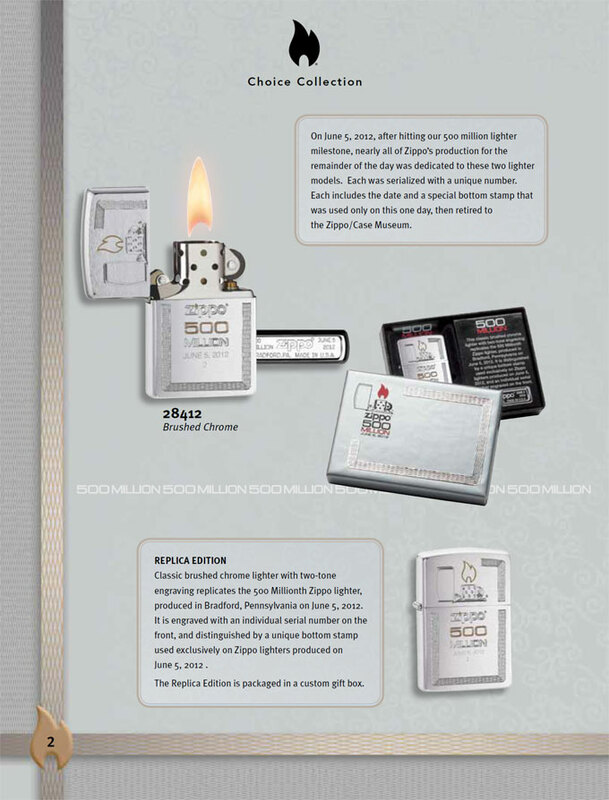 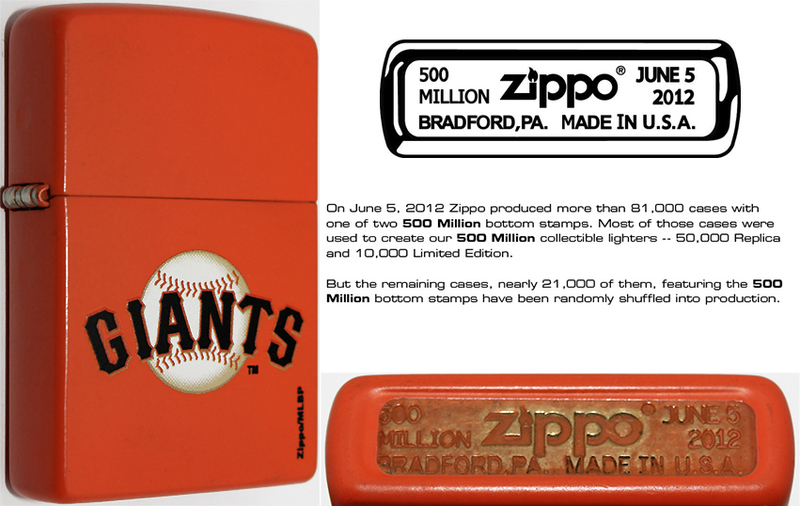 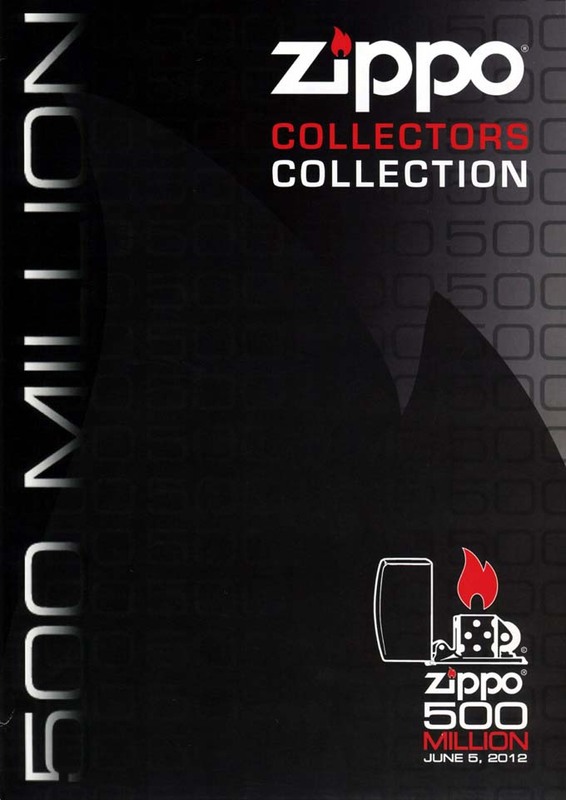 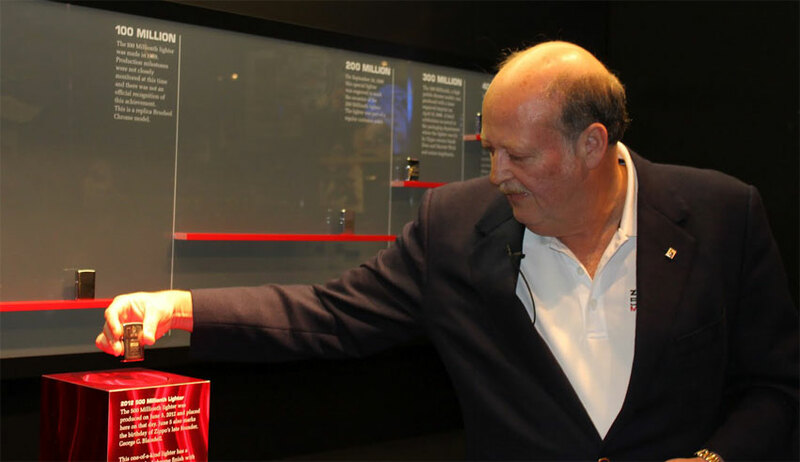 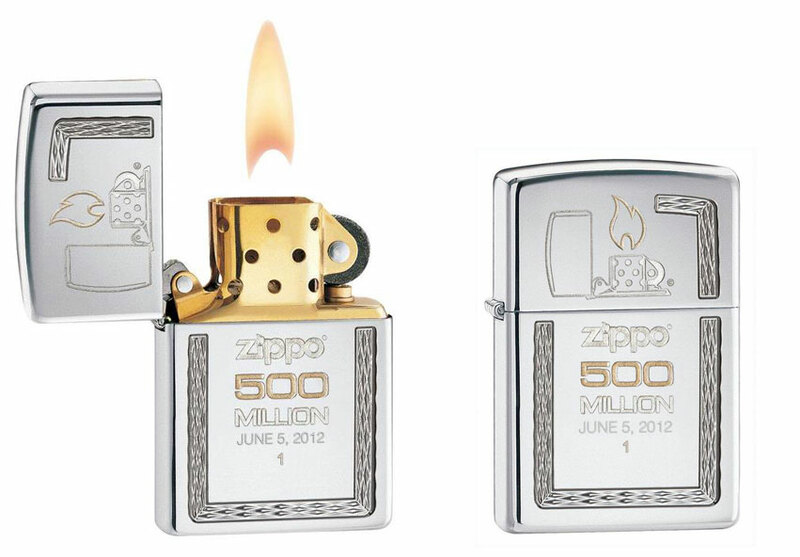 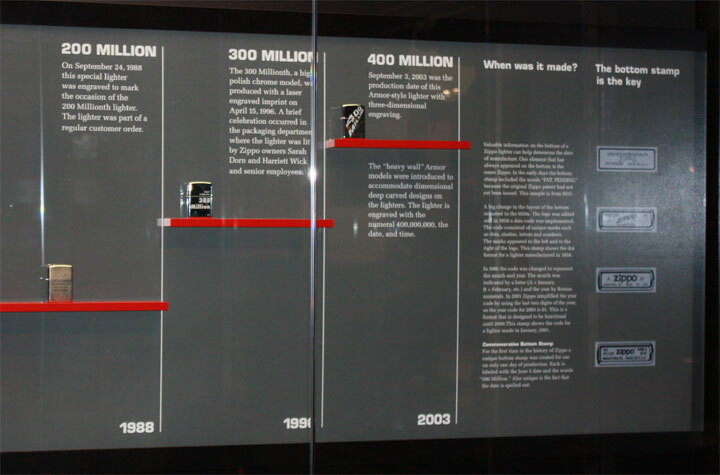 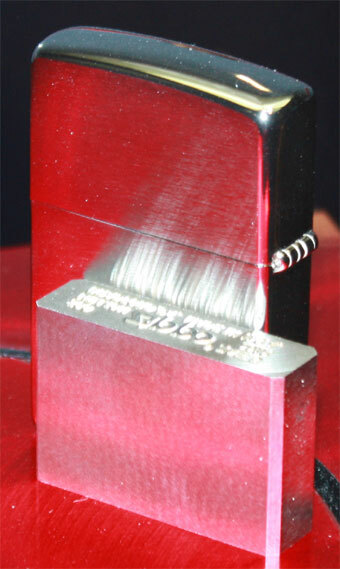 The 500 Millionth Replica lighter will be packaged in a custom box and will retail for $50.00. 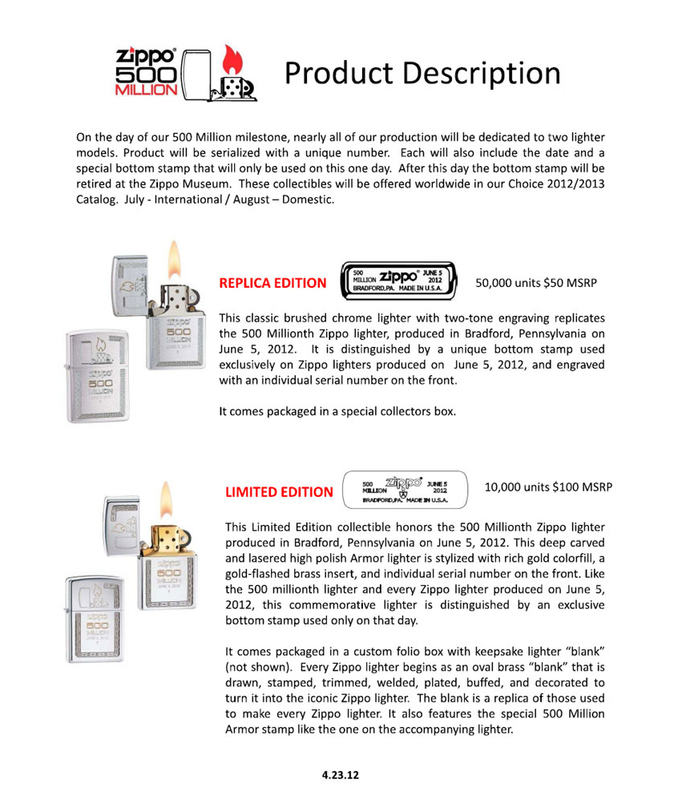 A unique bottom stamp, used exclusively on Zippo lighters produced on June 5, will feature the month, day and year of the production. 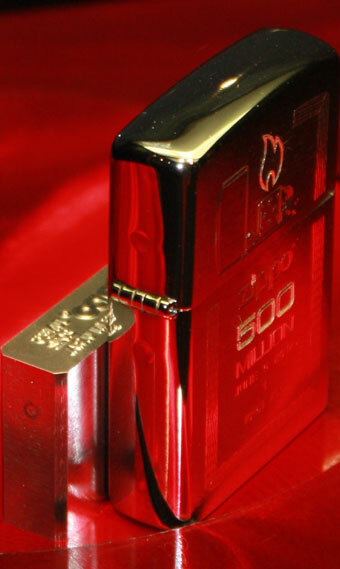 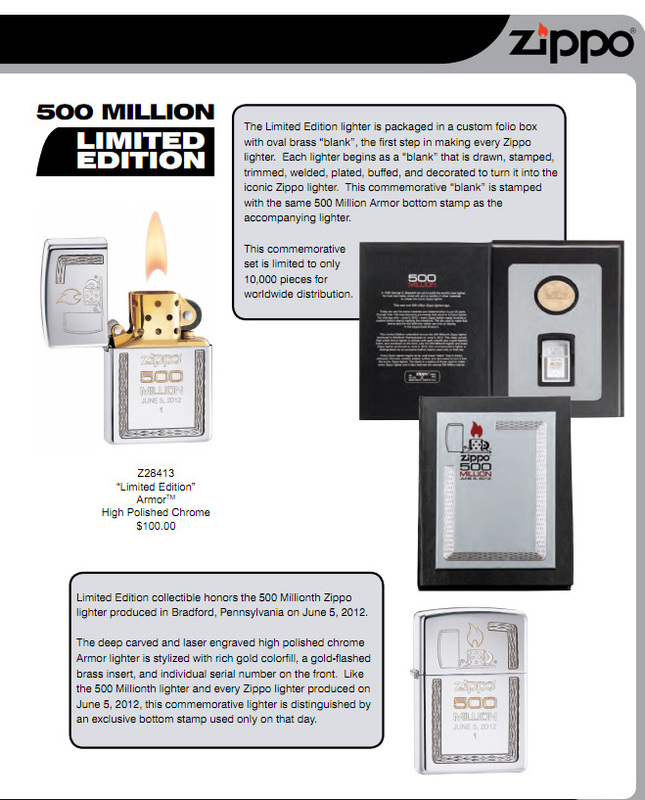 The 500 Millionth Limited Edition commemorative lighter will feature a deep carved high polish Armor® case stylized with rich gold color fill and enhanced with a gold-flashed insert. 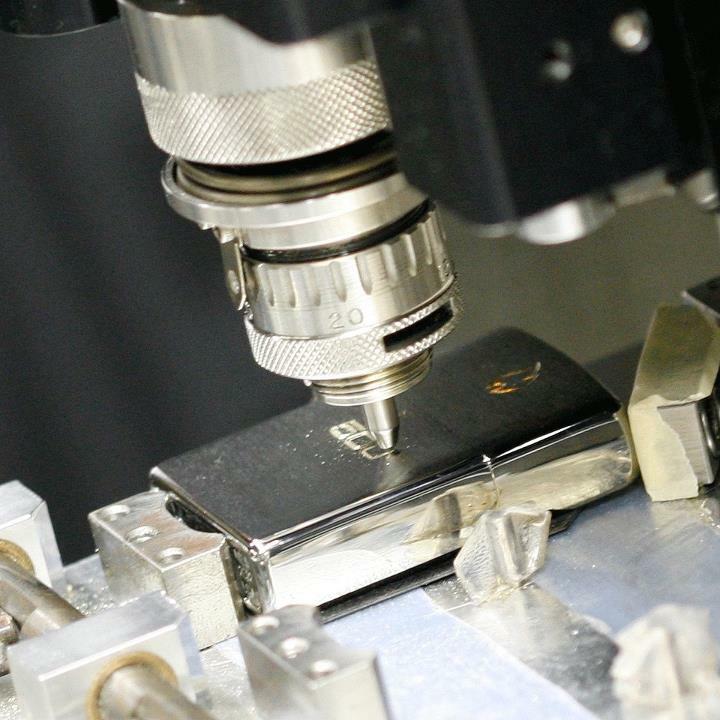 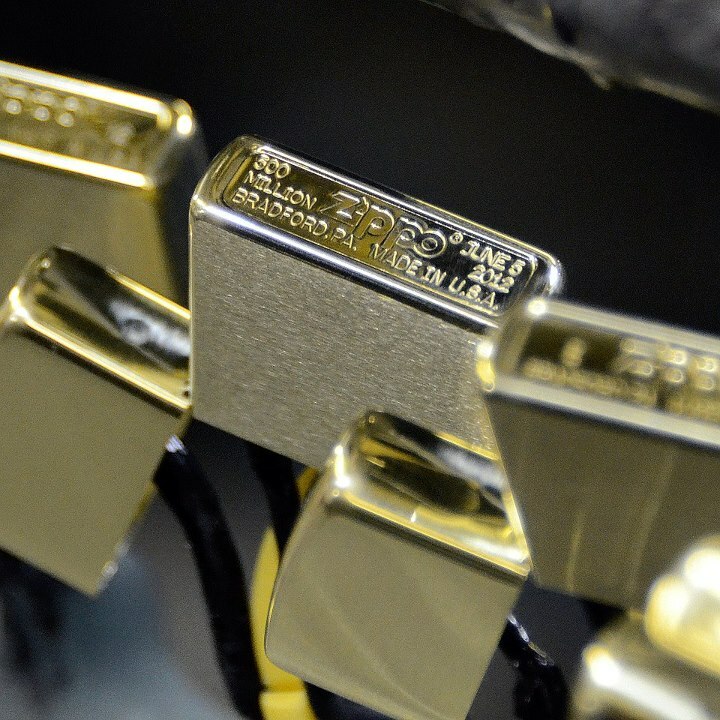 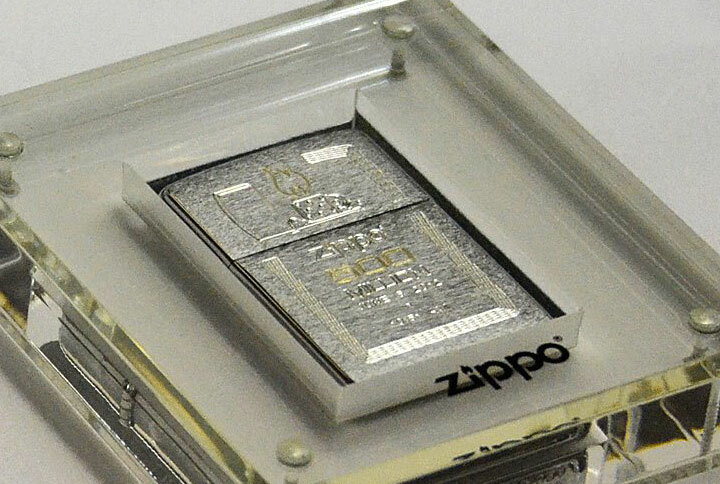 Approximately 10,000 pieces will be created, each with a unique serial number lasered on the front of the case. 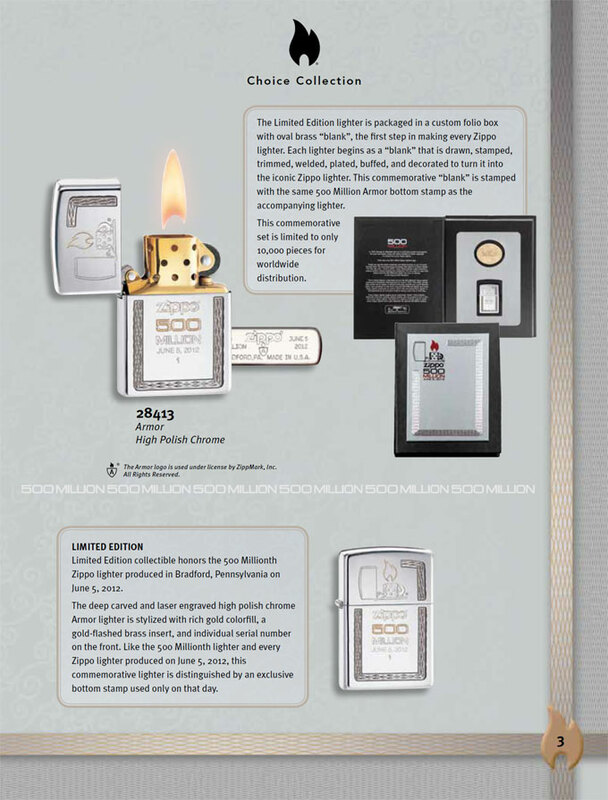 The 500 Millionth Limited Edition lighter will be packaged in a beautiful custom folio box with an oval shaped brass companion piece. 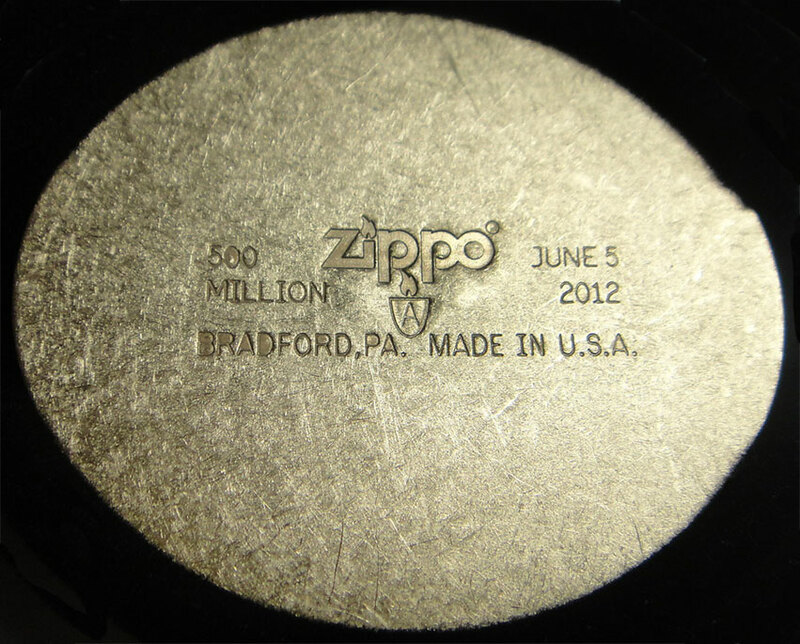 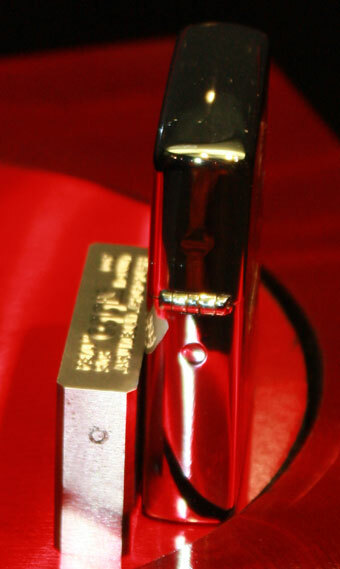 The oval-shaped "blank" is what is cut, pressed, stamped, welded, plated, buffed, and assembled into a Zippo lighter. 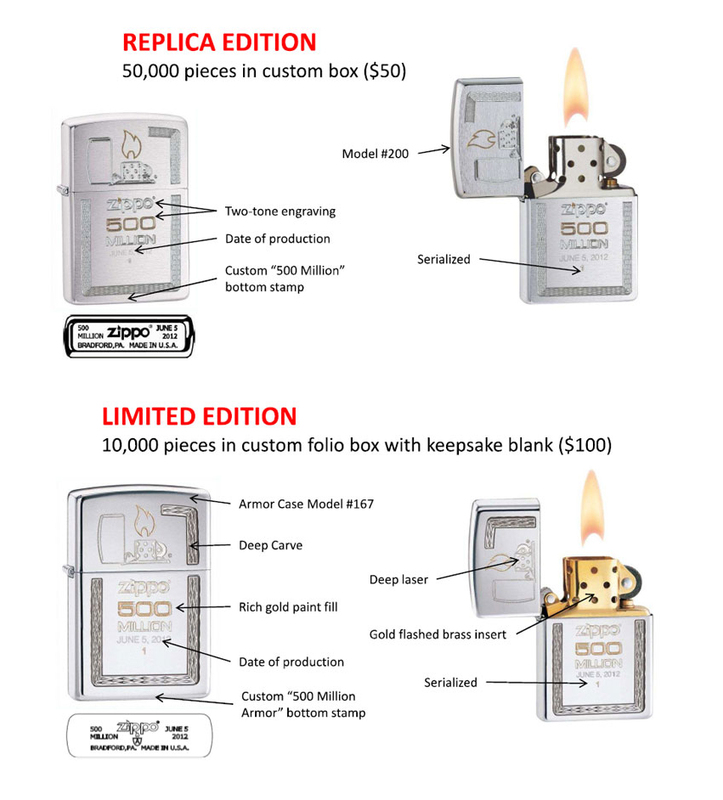 The retail price is $100. 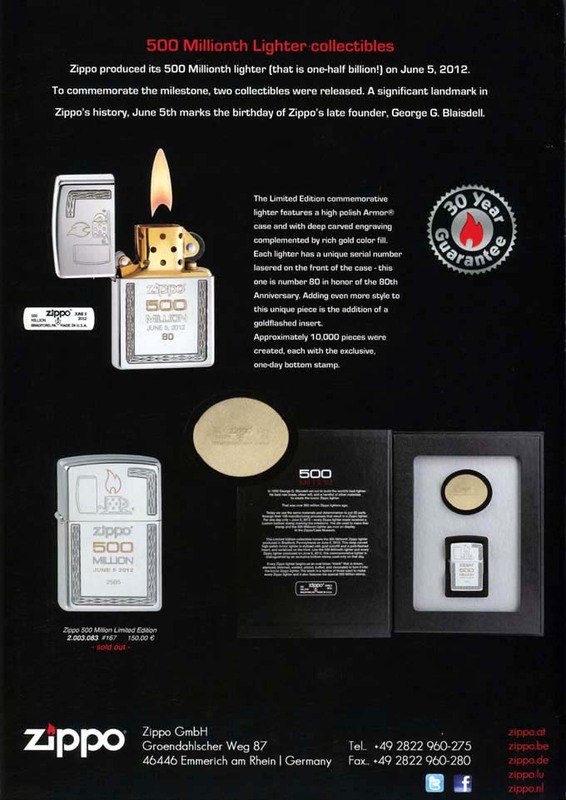 Like the replica commemorative lighter, this model will also feature an exclusive, one-day bottom stamp. 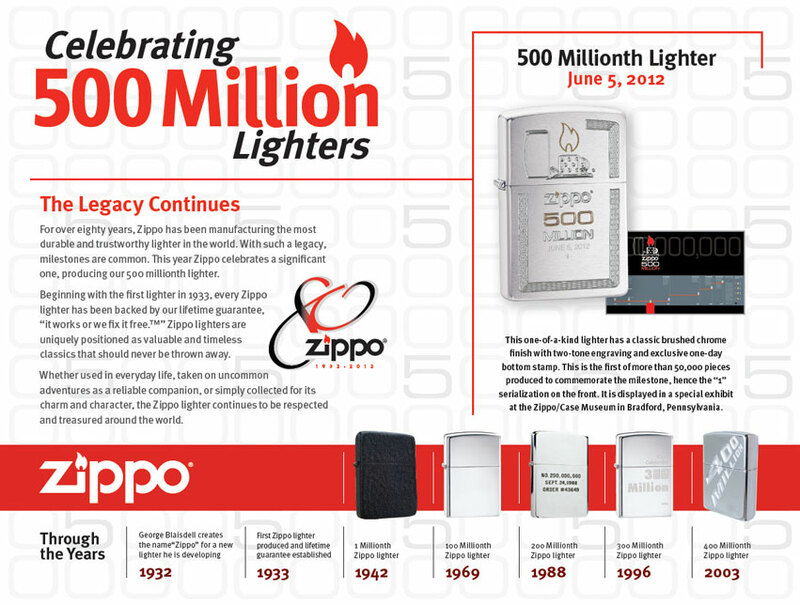 to be celebrated on June 5, 2012. 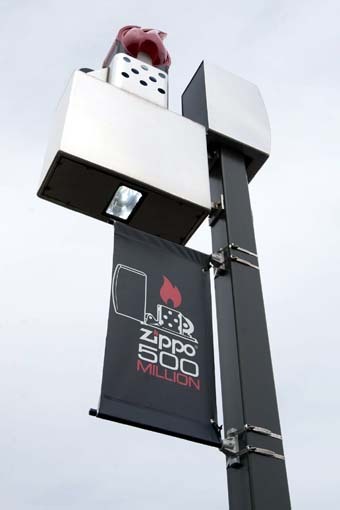 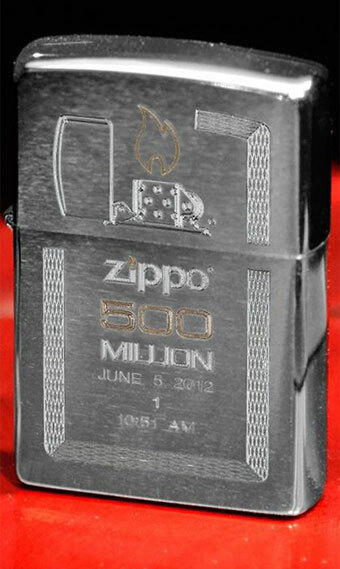 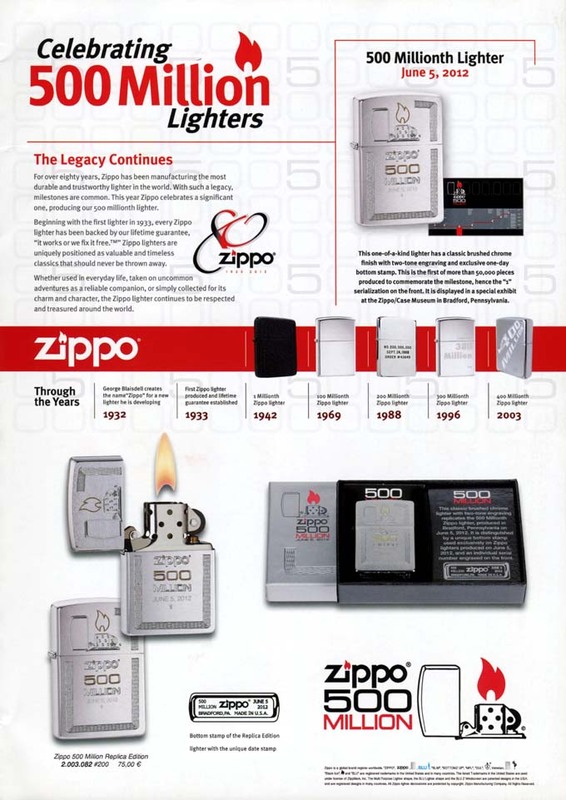 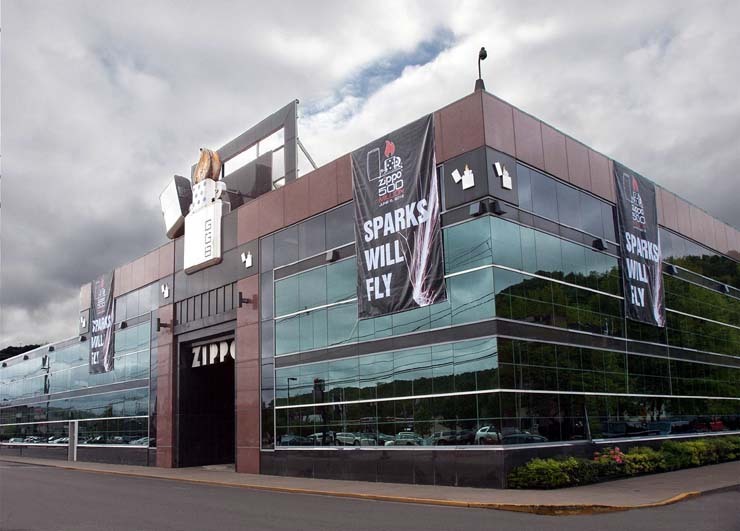 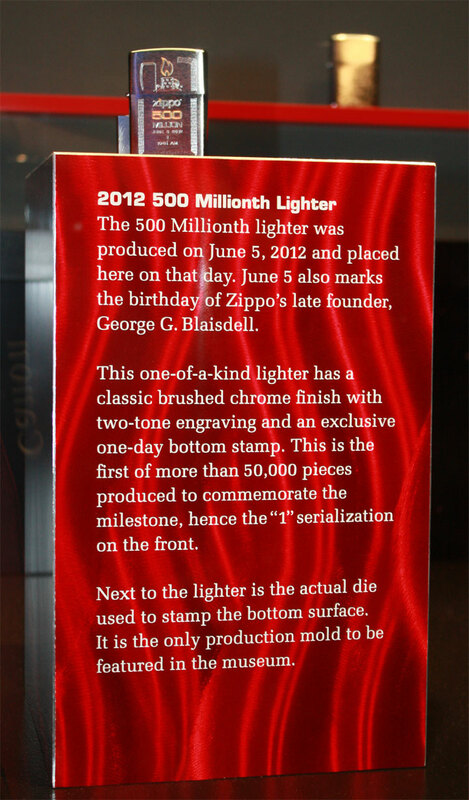 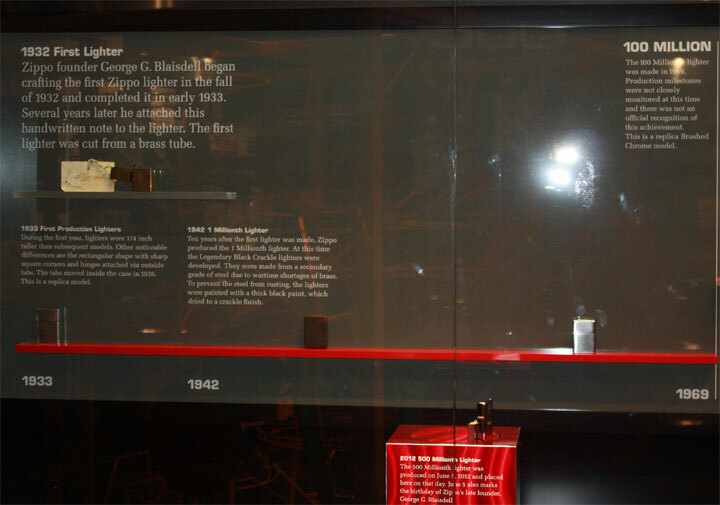 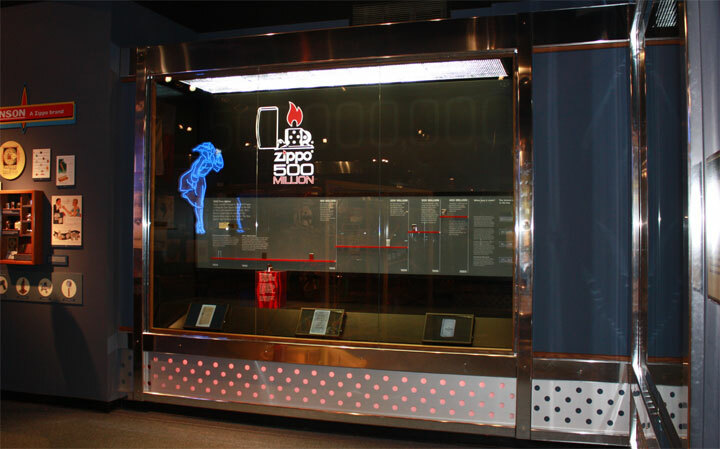 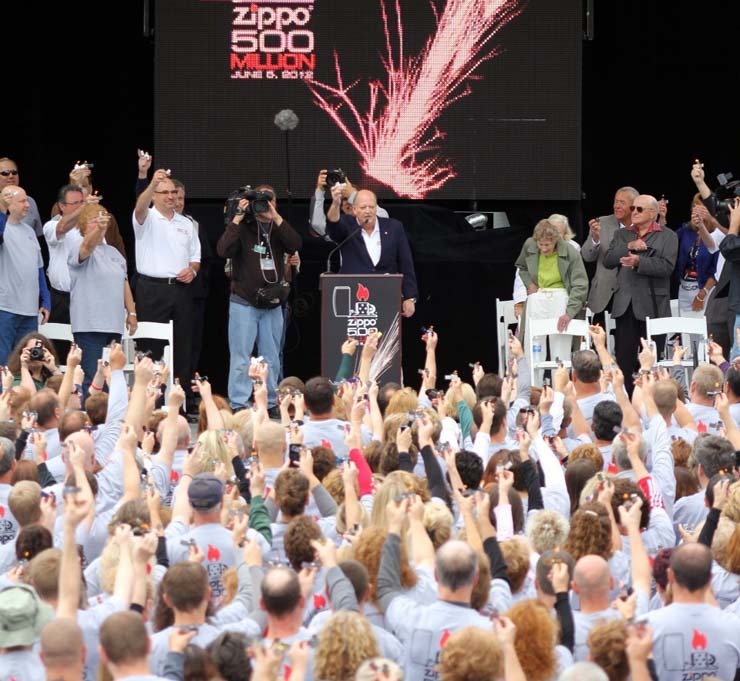 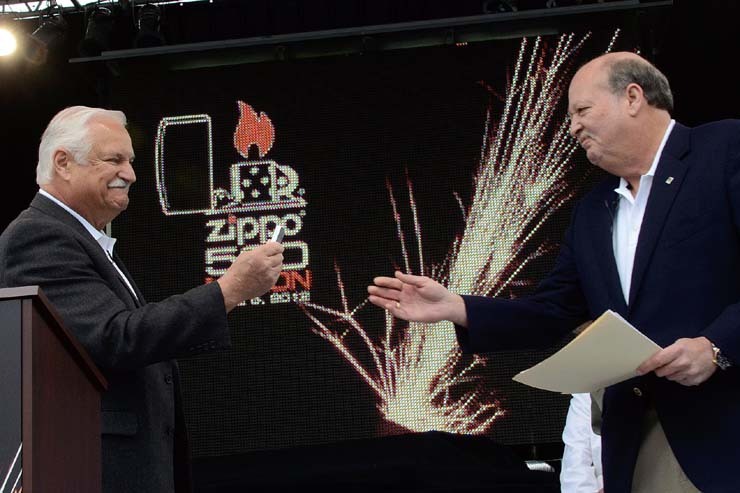 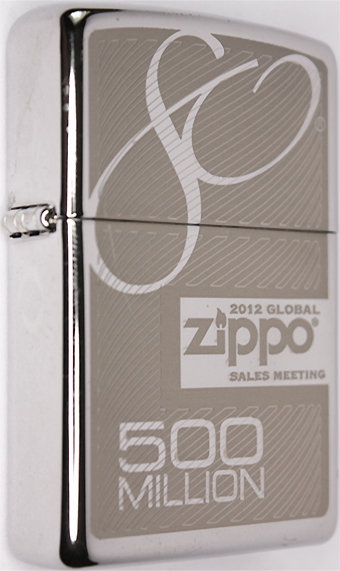 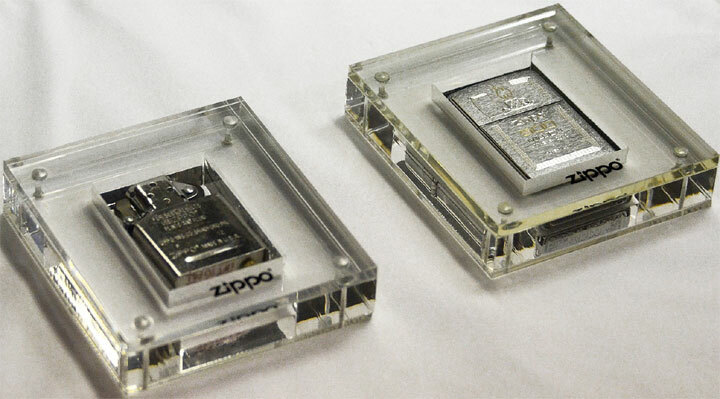 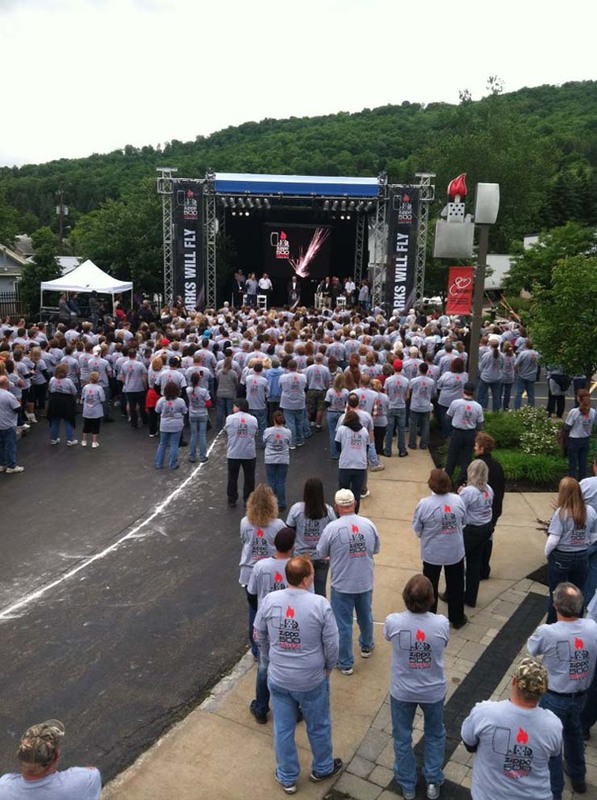 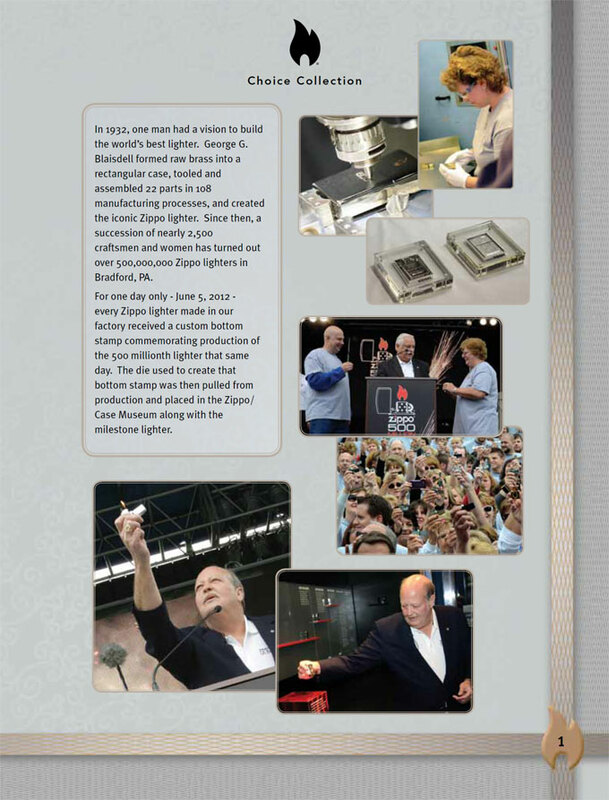 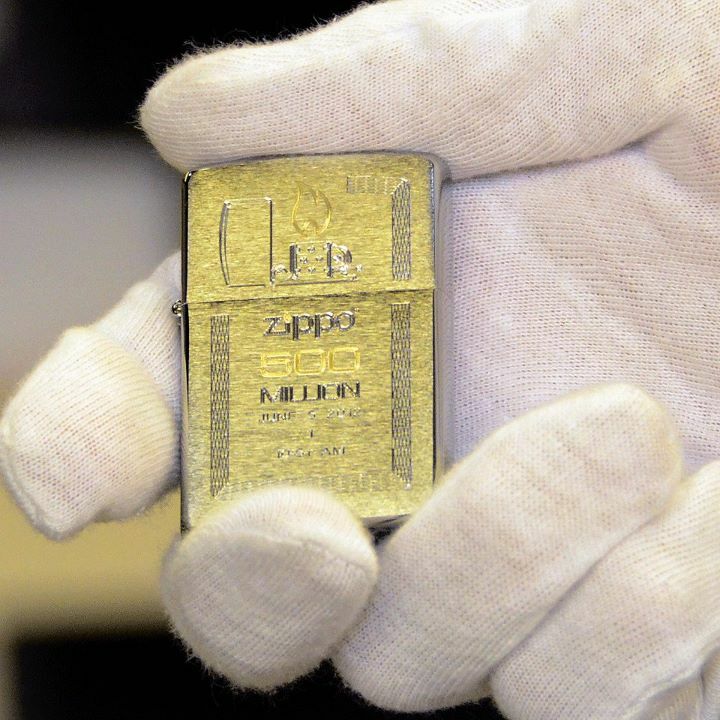 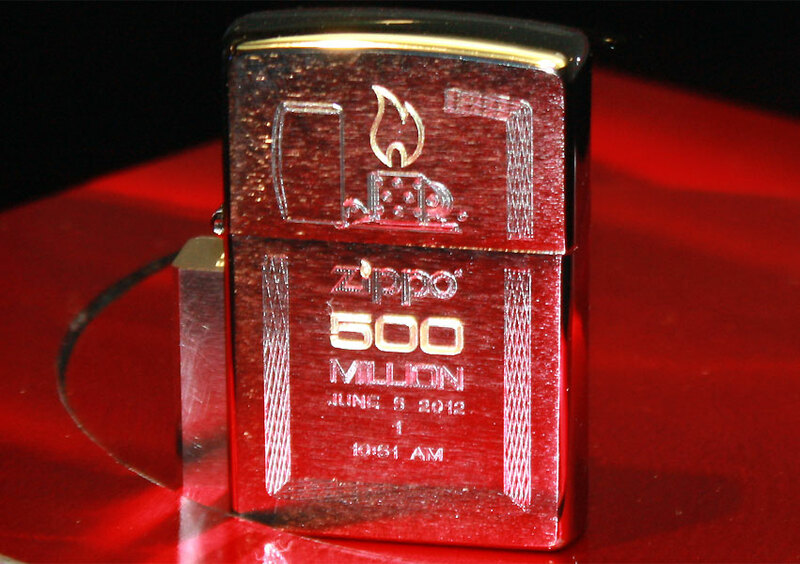 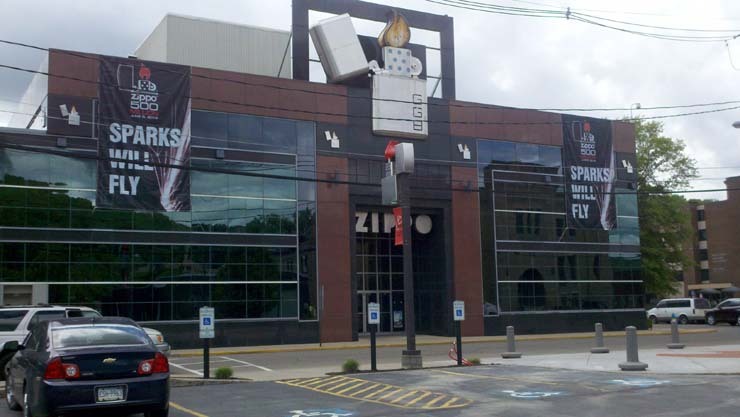 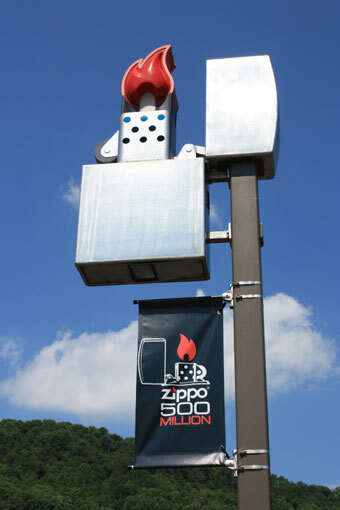 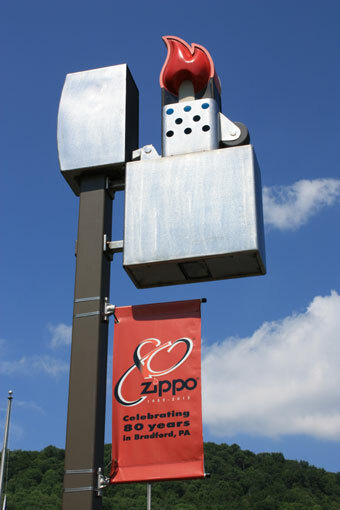 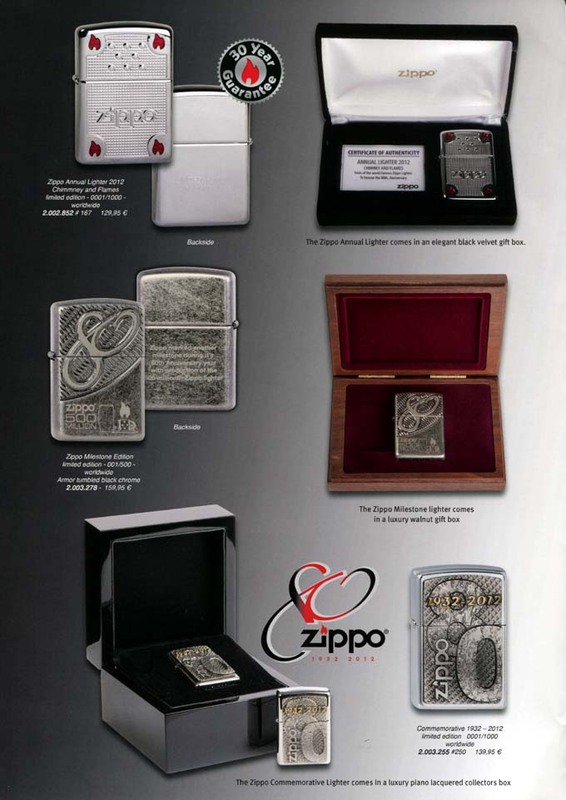 ...and stamped with the time it was finished — 10:51 a.m.
presented the finished Zippo to the participating employees. 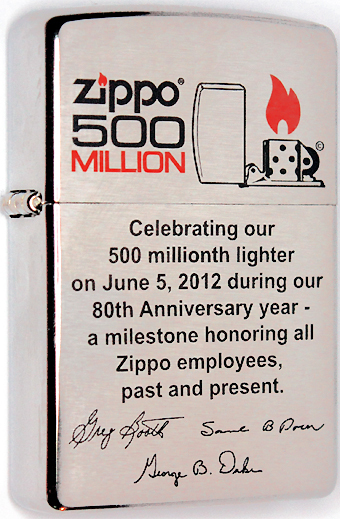 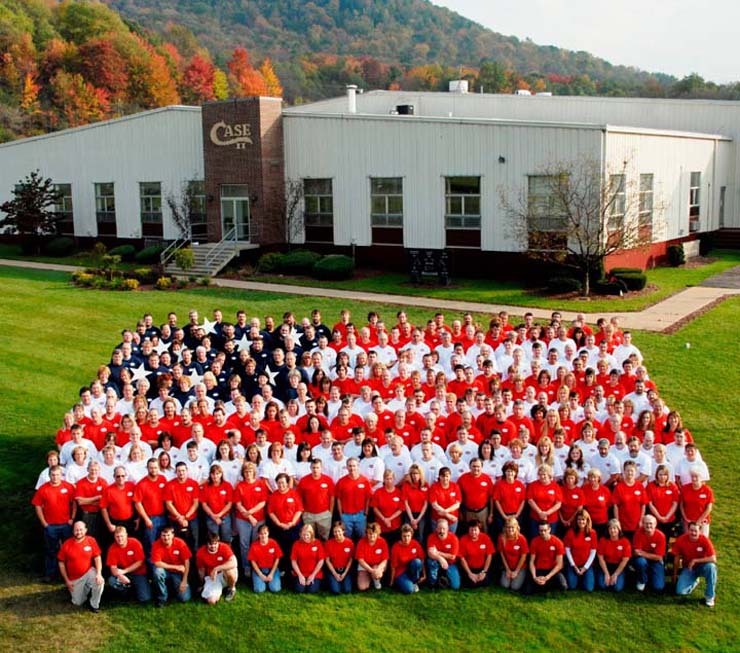 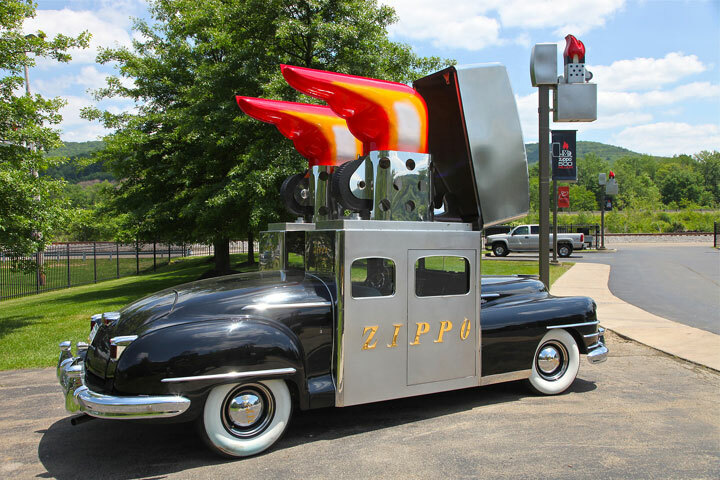 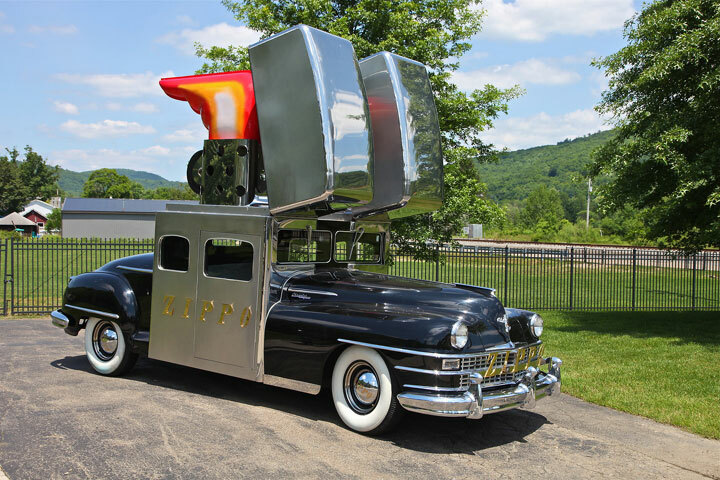 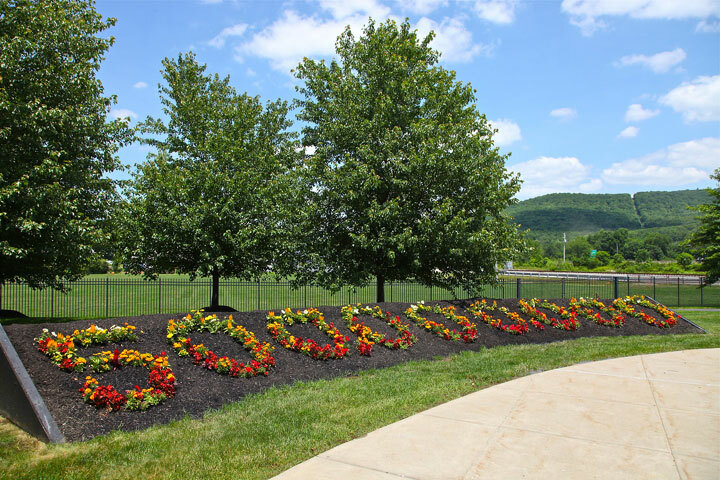 from the plant & the Zippo museum by each of the 620 employees.